You might recognize Agnete Friis as one half of the writing duo responsible for the bestselling Scandinavian crime book THE BOY IN THE SUITCASE—and this May, she makes her solo U.S. debut in WHAT MY BODY REMEMBERS, a hypnotic, taut suspense novel that delves into the past of a young mother desperate to protect her son from social services, and from her own demons. This unique little book packs an emotional punch: it has all the brooding atmosphere and rich character development characteristic of Nordic Noir, but without the violence and police procedural angle typical of the genre—and I wholly enjoyed it for its unique approach to crime fiction storytelling. Ella Nygaard, 27, has been a ward of the state since she was seven years old, the night her father murdered her mother. She doesn’t remember anything about that night or her childhood before it—but her body remembers. The PTSD-induced panic attacks she now suffers incapacitate her for hours at a time, sometimes days. After one particularly bad episode lands Ella in a psych ward, she discovers her son, Alex, has been taken from her by the state and placed with a foster family. Desperate not to lose her son, Ella kidnaps Alex and flees to the seaside town in northern Denmark where she was born. Her grandmother’s abandoned house is in grave disrepair, but she can live there for free until she can figure out how to convince social services that despite everything, she is the best parent for her child. But being back in the small town forces Ella to confront the demons of her childhood—the monsters her memory has tried so hard to obscure. What really happened that night her mother died? Was her grandmother right—was Ella’s father unjustly convicted? What other secrets were her parents hiding from each other? If Ella can start to remember, maybe her scars will begin to heal—or maybe the truth will put her in even greater danger. WHAT MY BODY REMEMBERS defied every expectation I had for it, and I loved the ways it surprised me. When you think Scandinavian crime, a few constants come to mind: damaged, troubled protagonists, atmospheric backdrops, and slow-burning mysteries. WHAT MY BODY REMEMBERS manages to tick these boxes while retaining a spirit and tone all its own. There’s no crime at the forefront of this story, and there isn’t a single police officer to be found throughout the novel. There’s hardly any violence, and there isn’t even really a question to be answered or crime to be solved. This story toes the line between psychological suspense and literary fiction, but retains enough intrigue and tension to satisfy suspense readers. I loved this emotional, affecting little book, and I loved the troubling atmosphere and subtle tension Friis creates within it. More than anything else, WHAT MY BODY REMEMBERS is about peeling away the layers of one young woman’s memory. 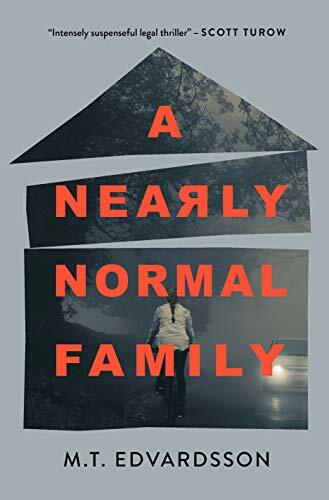 Ella is a troubled individual, and for good reason: after witnessing her father shoot her mother when she was a small child, she’s never truly been able to let her guard down with anyone, save perhaps her son, Alex. But despite her devotion to her son, Ella’s demons have made her an unfit mother in the eyes of the government, and social services has stepped in to take Alex away. Desperate to save her son, Ella flees to her hometown - a small coastal town in northern Denmark - and that’s where the real heart of this story takes place. Back in her hometown, bits and pieces of Ella’s past begin to creep back into her life, and she finds herself forced to confront elements of her childhood that she has long since blocked out. The word “hypnotic” really is the best way I can describe this process: Friis writes about Ella’s internal struggle in an immersive, engaging way that wraps itself around the reader, begging you to read just one more page. There’s no real action to speak of—the majority of this book is dedicated to the methodical process of revealing layer upon layer of Ella’s past. Friis intersperses Ella's narrative with flashbacks that follow both her father and mother in the time leading up to her mother's tragic death. These flashbacks were possibly my favorite part of the book: I loved witnessing how the reality of their lives differs from the stories Ella has been told about her parents in the years since her family's tragedy. These flashbacks added depth and intrigue to the story, and gave readers yet another angle with which to understand our main character. Don’t pick this book up if you’re looking for page-turning shocks or twists—WHAT MY BODY REMEMBERS is all about meticulously crafting a 360-degree view of this young woman’s life: what made her the way she is now, and what she can do to regain a sense of stability in the face of that trauma. If the majority of this book is slow-burning scene-setting, the final 40 pages are when the author finally cashes in on the foundation she’s built. I was completely blindsided by the twist the author reveals in this book’s finale—I had been lulled into believing that this book just wasn’t going to be the type of novel to have edge-of-your-seat tension, and I was very wrong. I won't say more about the ending for fear of spoiling it—I'll just say that I loved the slow-burn of this story, and I also loved the sinister finale Friis has crafted for it. WHAT MY BODY REMEMBERS will never be the right choice for readers looking for action-packed plotting - it’s just not that kind of crime novel - but the finale of this book really did serve up a twist that left me shocked. Fans of Karin Fossum will feel right at home in Friis’ writing, from her measured pacing to her vividly-drawn characters. I would caution readers to remember that this book does not have any kind of police investigation or really twisted criminal at its core. If you read my reviews consistently, you'll know that I'm partial to gritty, dark crime novels, so this book pushed the limits of my comfort zone—but I found Friis' writing totally satisfying, tense, and immersive. Don’t pick this one up if you’re looking for the violence or really hard-edged writing typical of many Scandinavian crime novels—but do pick this one up if you’re looking for a taut, atmospheric suspense novel that delves into the life and mind of its main character. Find WHAT MY BODY REMEMBERS on Amazon.